Delhi is the capital of India and we all know it is also a business city of India. Thousands of people come to Delhi every day in a hope to get a good job. There are few lakhs of companies currently operating in Delhi/NCR and they all required skilled people join their team. There is a very tough competition between the people to make themselves the best option for any job that comes into the market. People work really hard to become the best option for the available job. It has been noticed that people with an MBA degree got a better job or got a promotion in their company compared to the people who don't have a managerial degree. If you're from Delhi/NCR and looking for a good MBA college or University to pursue your higher education, you're reading the right article. 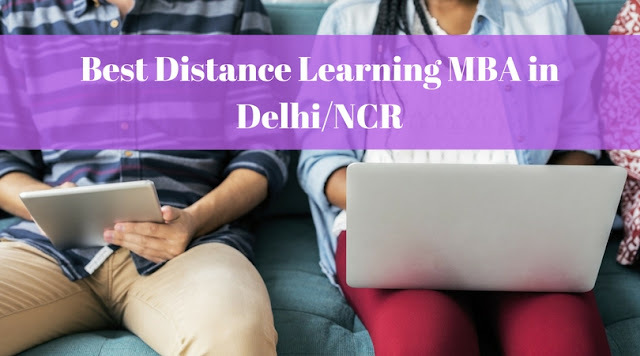 In this article, we're going to mention the best universities offering distance learning MBA courses in Delhi/NCR. Without any doubt, IMT Ghaziabad is the best institute in Delhi/NCR to pursue a distance learning MBA. IMT offers 2 years PGDM program which is considered equivalent to MBA. IMT Ghaziabad is amongst the best institutes in India for regular MBA. It ranks under the top 20 BSchools in India. Its distance learning PGDM program is approved by UGC DEB and offers specialization in Finance, Marketing, Operations, Information Systems, Human Resource Management and International Business. IMT also offers 1-year PGDBA and 1-year Executive PGDM courses. The institute has won many awards for its distance learning courses. You must be a Graduate in any discipline to be eligible for the MBA course. For admission into 2 years PGDM, an admission test is required. For 1-year executive PGDM, you must have 3 years job experience to become eligible for the course. The fee for 2 years PGDM program is INR 27,500 per semester. If you're seriously looking for a good institute to pursue your MBA, you should consider IMT as an option. IGNOU is India's largest open university. It was established in the year 1985 and currently, more than 4 million students are enrolled in the University. IGNOU offers a variety of courses in many disciplines including management. The distance learning MBA from IGNOU is a 2.5 years course that you can complete in maximum 8 years duration. The fee for the complete program is INR 31,500, which is quite affordable compared to the other universities. You have to clear OPENMAT conducted by IGNOU to be eligible for the program. You must be a graduate in any discipline with 50% marks for general category and 45% for the reserved category with 3 years managerial/supervisory/professional experience. Amity University offers 2 years distance learning program which is approved by UGC DEB. 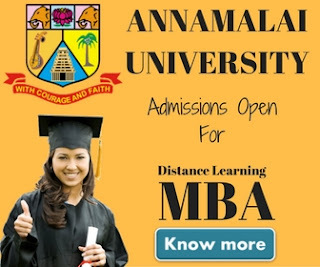 The distance learning MBA course from Amity has 4 semesters with 11 specializations to choose from. The total fee for the program for general category students is INR 126800, and for Defence Officers, it is INR 108050 and for J.C. Officer / Other Ranks, the fee is INR 89300. The fee can be paid in four installments. Someone must be a graduate with 40% marks to be eligible for admission. Diploma holders can not apply for the course. NMIMS is a renowned institute in India for management education. It's regular MBA and distance MBA, both ranks among the management courses in India. Although NMIMS is an institute from Maharashtra but they are operating a study center in New Delhi. Like IMT Ghaziabad, NMIMS also offers 2-years post graduate diploma courses in management that are considered equivalent to MBA in the corporate sector. NMIMS offers the following 2-years management courses. NMIMS also offers 1 year diploma and 6 month cenrtification programs. The fee for 2 years Post Graduate diploma courses is about INR 62000. Although it varies if you pay in installments. You must be a graduate with minimum 50% marks to be eligible for the program. If you don't have 50% marks in graduation, you should have minimum 2 years of working experience to apply for the course. 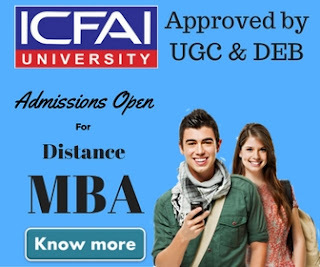 ICFAI University is a popular name in distance education industry. It is a university located in Hyderabad but have their study centers for distance learning courses located across the country including in Delhi/NCR. The University offers 2-years distance education MBA program with 16 specializations to choose from. You must be a graduate to be eligible for the distance learning MBA program offered by ICFAI. The total fee for ICFAI MBA course is INR 65,000/-. You can pay the fee in installments. We hope the article was helpful for you. If you have any questions or you would like to take admission in any of the University/Institution mentioned above, feel free to contact us using our contact us page.